Lythrum salicaria , var. gracilior Turcz. Lythrum salicaria , var. tomentosum (P. Mill.) DC. Lythrum salicaria , var. vulgare DC. Lythrum salicaria is an erect, perennial herb with a woody four-sided stem and whorled leaves. Plants are usually covered by a soft down. Leaves are generally opposite, lance-shaped but heart-shaped or rounded at the base. Mature plants can have 30 to 50 stems emerging from a single rootstock and are prolific seed producers. L. salicaria can grow from 1.2 to 3 m high, depending upon conditions. Showy, trimorphic, magenta-coloured flowers, with five to seven petals, are produced throughout most of the summer. Woody stems of plants remain standing during the winter, when the plant is readily identified by its brownish colour and spiral-shaped capsule clusters. Seeds can remain viable in the soil for many years and those submerged in water can remain viable for about 20 months. Lythrum salicaria is grown for medicinal uses and planted by beekeepers for its nectar-producing capabilities. It has been used as a herb for diarrhea, dysentery and dried leaves were used to heal wounds, ulcers and sores. L. salicaria is also widely sold as an ornamental in states where regulations do not prohibit its sale and distribution. Lythrum salicaria is capable of invading a variety of wetland habitats, including marshes, river and stream banks, pond edges, lakes, road site ditches, and reservoirs. The plant prefers moist soil with neutral to slightly acidic pH. Once established, however, L. salicaria can exist in a wide range of soil types. Disturbed areas are more prone to invasion because exposed soil is ideal for germination. Lythrum salicaria reproduces by seed and vegetatively. Flowers require pollination by insects and seeds require open, wet soils and a high temperature to germinate. Flowers are tristylous and pollination restricted to crosses between the style of one length with stamens of the corresponding length. L. salicaria can also spread vegetatively by leftover pieces of trampled, clipped, mowed and pulled plants. A mature plant over 2m tall can have as many as thirty flowering stems and produce large numbers of seeds (up to 3 million seeds per plant has been reported (Thompson et al. 1987)). Seed production is dependent upon age, size and habitat conditions. Seeds are very small and are transported by wind, water, wildlife, vehicles, construction equipment, and humans. Seed survival can be as high as 70%, creating an extensive seed bank. Seedling establishment occurs in late spring and early summer or after soil disturbances including chemical applications. Shoots from vegetative reproduction grow at a rate of approximately 0.3mt per year. Recommended citation: Global Invasive Species Database (2019) Species profile: Lythrum salicaria. Downloaded from http://www.iucngisd.org/gisd/species.php?sc=93 on 22-04-2019. Physical: Small infestations (< 100 plants) of L. salicaria can be controlled but cutting and pulling. Cutting should be done just before the plants begin flowering to avoid spreading seed. Pulling should be done by carefully removing all root fragments and disposing of all uprooted plants. Plant materials should be dried and burnt where possible. These fragments and uprooted plants could grow into new plants, possibly making the problem worse. Mowing and burning is ineffective and sometimes makes the problem worse. Chemical: Herbicides are most commonly used for quick, effective control of L. salicaria. Spot treating with a glyphosate type herbicide (e.g., Rodeo for wetlands, Roundup for uplands) is effective on older plants. These herbicides may be most effective when applied, as plants are preparing for dormancy, however, mid-summer and late season treatments may be needed to reduce the amount of seed produced. In Canada, only Roundup is registered for the control of Lythrum in terrestrial areas only. Multiple chemical treatments are usually required as new seedlings annually emerge from the seed bank. Chemical treatments may not be desired in sensitive wetland habitats. Biological control: Conventional methods such as physical, mechanical or chemical, have continuously failed to curb the spread of Lythrum salicaria or to provide satisfactory control. State and federal agencies as well as private citizens and schools now participate in rearing, release and monitoring of Galerucella beetle species which have been released in 33 states and >1500 wetlands nationwide. Large populations of G. calmariensis have developed in many of the monitored release sites and have caused up to 100% defoliation of L. salicaria. Stem height was reduced 73–85%, percent plant cover was reduced 61–95%, and richness of nontarget plant species increased significantly at four out of five sites. By 2001, L. salicaria stem height and percent cover were reduced 38–81% and 32–74%, respectively, and nontarget plant species richness increased significantly at all five sites. Of the 19 additional sites monitored for 3–5 years post release, 50% (4/8) of the 1997 releases have developed into large G. calmariensis populations and produced severe damage to L. salicari (Blossey et al, 2001; Landis et al, 2003). A long-term assessment of biological control impacts after 10 years in central New York State concluded that Galerucella species had significant impacts on plants at the individual level, i.e. shorter plants and reduced flowering rates. However there was no change at the population level: there was no change in overall plant density or in size of stands. Surveys of beetle movement from release site showed only limited spread of beetles to new areas (Grevstad, 2006). Integrated management: Results from a study conducted in Manitoba, Canada indicated that an integrated strategy using herbicides (glyphosate and triclopyr amine), combined with biological control G calmariensis outperformed herbicide alone treatments and Galerucella calmariensis alone (Henne et al, 2005). Informations on Lythrum salicaria has been recorded for the following locations. Click on the name for additional informations. Albright, Matthew F.; Harman, Willard N.; Fickbohm, Scott S.; Meehan, Holly; Groff, Sarah; Austin, Tavis, 2004. Recovery of native Flora and behavioral responses by Galerucella spp. following biocontrol of purple lossestrife. American Midland Naturalist. 152(2). October 2004. 248-254. Anderson, Robert P.; Peterson, A. Townsend; Egbert, Stephen L., 2006. Vegetation-index models predict areas vulnerable to purple loosestrife (Lythrum salicaria) invasion in Kansas. Southwestern Naturalist. 51(4). DEC 2006. 471-480. Barbier, Edward; Knowler, Duncan, 2006. Commercialization decisions and the economics of introduction. Euphytica. 148(1-2). MAR 2006. 151-164. Bartelt, Robert J.; Cosse, Allard A.; Zilkowski, Bruce W.; Wiedenmann, Robert N.; Raghu, S., 2008. Early-summer pheromone biology of Galerucella calmariensis and relationship to dispersal and colonization. Biological Control. 46(3). SEP 2008. 409-416. Blossey, Bernd; Skinner, Luke C.; Taylor, Janith, 2001. Impact and management of purple loosestrife (Lythrum salicaria) in North America. Biodiversity & Conservation. 10(10). October, 2001. 1787-1807. Collins, J.N, May M, Grosso C. 2003. Purple loosestrife Lythrum salicaria. Practical Guidebook to the Control of Invasive Aquatic and Wetland Plants of the San Francisco Bay - Delta Region. 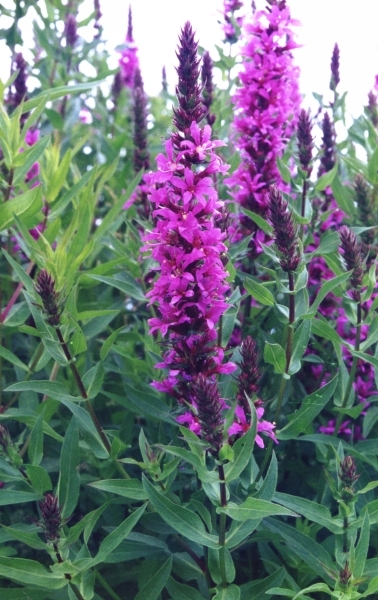 Available from: http://legacy.sfei.org/nis/loosestrife.html [Accessed 22 May 2010]. Dech, Jeffery P.; Nosko, Peter., 2002. Population establishment, dispersal, and impact of Galerucella pusilla and G. calmariensis, introduced to control purple loosestrife in central Ontario. Biological Control. 23(3). March, 2002. 228-236. Denoth, Madlen; Myers, Judith H., 2005. Variable success of biological control of Lythrum salicaria in British Columbia. Biological Control. 32(2). February 2005. 269-279. Grevstad, F.S. 2006. Ten-year impacts of the biological control agents Galerucella pusilla and G. calmariensis (Coleoptera: Chrysomelidae) on purple loosestrife (Lythrum salicaria) in Central New York State. Biological Control 39: 1-8. Herrick, Bradley M.; Wolf, Amy T., 2005. Invasive plant species in diked vs. undiked Great Lakes wetlands. Journal of Great Lakes Research. 31(3). 2005. 277-287. Landis, Douglas A.; Sebolt, Donald C.; Haas, Michael J.; Klepinger, Michael., 2003. Establishment and impact of Galerucella calmariensis L. (Coleoptera: Chrysomelidae) on Lythrum salicaria L. and associated plant communities in Michigan. Biological Control. 28(1). September 2003. 78-91. Lindgren, C.J., Corrigan, J., DeClerck-Floate, R., 2002. Lythrum salicaria L., Purple Loosestrife (Lythraceae). In: Mason, P.G., Huber, J.T. (Eds. ), Biological Control Programmes in Canada, 1981-2000. CABI Publishing, Wallingford, UK, pp. 382-390. Summary: Detailed review of biological control program against purple loosestife in Canada. Summary: Detailed report on the impact of the biological control agent G. calmariensis in Manitoba release sites. Management implications. Lindgren, Cory J., 2003. 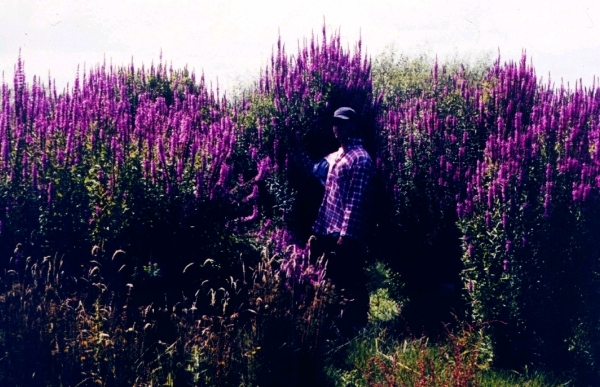 A brief history of Purple Loosestrife, Lythrum salicaria, in Manitoba and its status in 2001. Canadian Field-Naturalist. 117(1). January-March 2003. 100-109. Lindgren, Cory J., 2006. Angler awareness of aquatic invasive species in Manitoba. Journal of Aquatic Plant Management. 44 JUL 2006. 103-108. Lodge, David M., Susan Williams, Hugh J. MacIsaac, Keith R. Hayes, Brian Leung, Sarah Reichard, Richard N. Mack, Peter B. Moyle, Maggie Smith, David A. Andow, James T. Carlton, Anthony McMichael, 2006. Biological Invasions: Recommendations for U.S Policy and Management. Ecological Applications: Vol. 16, No. 6, pp. 2035-2054. McAvoy, T. J.; Kok, L. T., 2007. Fecundity and feeding of Galerucella calmariensis and G. pusilla on Lythrum salicaria. BioControl (Dordrecht). 52(3). JUN 2007. 351-363. Mgidi, Theresa N.; Le Maitre, David C.; Schonegevel, Lucille; Nel, Jeanne L.; Rouget, Mathieu; Richardson, David M., 2007. Alien plant invasions - incorporating emerging invaders in regional prioritization: A pragmatic approach for Southern Africa. Journal of Environmental Management. 84(2). JUL 2007. 173-187. Mullin, Barbra H., 1998. The biology and management of purple loosestrife (Lythrum salicaria). Weed Technology. 12(2). April-June, 1998. 397-401. Summary: Detailed report on Lythrum cultivars and hybrids. Strayer, David L.; Blair, Elizabeth A.; Caraco, Nina F.; Cole, Jonathan J.; Findlay, Stuart; Nieder, W. Charles; Pace, Michael L., 2005. Interactions between alien species and restoration of large-river ecosystems. Archiv fuer Hydrobiologie Supplement. 155(1-4). 2005. 133-145. Thompson, D. Q., Stuckey, R. L. and Thompson, E. B. 1987. Spread, Impact, and Control of Purple Loosestrife (Lythrum salicaria) in North American Wetlands. USGS, Northern Prairie Wildlife Research Center. Summary: A comprehensive treatise on the accumulated body of knowledge on purple loosestrife. This report documents the spread and impacts of purple loosestrife in North America. Welk, Erik., 2004. 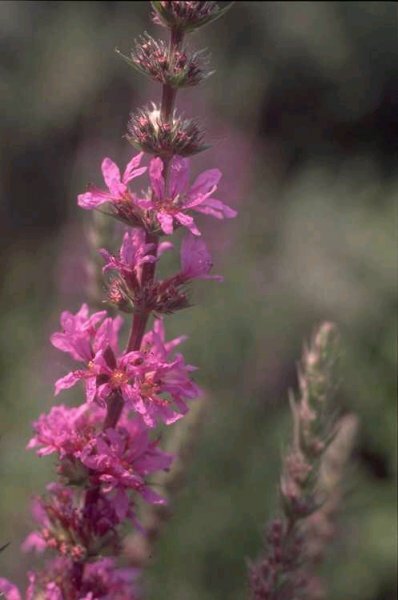 Constraints in range predictions of invasive plant species due to non-equilibrium distribution patterns: Purple loosestrife (Lythrum salicaria) in North America. Ecological Modelling. 179(4). December 1, 2004. 551-567. Wiebe, Amy P.; Cortilet, Anthony B.; Obrycki, John J.; Owen, Micheal D. K., 2001. Releases of natural enemies of purple loosestrife (Lythrum salicaria L.), in Iowa Wetlands. Journal of the Kansas Entomological Society. 74(2). April, 2001. 106-109. Wiebe, Amy P.; Obrycki, John J., 2001. Purple loosestrife: History, management, and biological control in Iowa. Journal of the Iowa Academy of Science. 108(4). December, 2001. 166-170. Yakimowski, Sarah B.; Hager, Heather A.; Eckert, Christopher G., 2005. Limits and effects of invasion by the nonindigenous wetland plant Lythrum salicaria (purple loosestrife): a seed bank analysis. Biological Invasions. 7(4). JUL 2005. 687-698. Brown, Beverly J.; Mitchell, Randall J.; Graham, Shirley A., 2002. Competition for pollination between an invasive species (purple loosestrife) and a native congener. Ecology (Washington D C). 83(8). August, 2002. 2328-2336. Brown, Carrie J.; Blossey, Bernd; Maerz, John C.; Joule, Steve J., 2006. Invasive plant and experimental venue affect tadpole performance. Biological Invasions. 8(2). MAR 2006. 327-338. Chun, Young Jin; Collyer, Michael L.; Moloney, Kirk A.; Nason, John D., 2007. Phenotypic plasticity of native vs. invasive purple loosestrife: A two-state multivariate approach. Ecology (Washington D C). 88(6). JUN 2007. 1499-1512. Dech, J. P.; Nosko, P., 2004. Rapid growth and early flowering in an invasive plant, purple loosestrife (Lythrum salicaria L.) during an El Nino spring. International Journal of Biometeorology. 49(1). September 2004. 26-31. Denoth, Madlen; Myers, Judith H., 2007. Competition between Lythrum salicaria and a rare species: combining evidence from experiments and long-term monitoring. Plant Ecology. 191(2). AUG 2007. 153-161. Duncan, Celestine A.; Jachetta, John J.; Brown, Melissa L.; Carrithers, Vanelle F.; Clark, Janet K.; DiTomaso, Joseph M.; Lym, Rodney G.; McDaniel, Kirk C.; Renz, Mark J.; Rice, Peter M., 2004. Assessing the economic, environmental, and societal losses from invasive plants on rangeland and wildlands. Weed Technology. 18(Suppl. S). 2004. 1411-1416. Farnsworth, Elizabeth J., 2004. Patterns of plant invasions at sites with rare plant species throughout New England. Rhodora. 106(926). Spring 2004. 97-117. Fickbohm, Scott S.; Zhu, Wei-Xing., 2006. Exotic purple loosestrife invasion of native cattail freshwater wetlands: Effects on organic matter distribution and soil nitrogen cycling. Applied Soil Ecology. 32(1). MAY 2006. 123-131. Grabas, Gregory P.; Laverty, Terence M., 1999. The effect of purple loosestrife (Lythrum salicaria L.; Lythraceae) on the pollination and reproductive success of sympatric co-flowering wetland plants. Ecoscience. 6(2). 1999. 230-242. Gratton, Claudio., 2006. Interactions between a native Silkmoth Hemileuca sp. and an invasive wetland plant, Lythrum salicaria. Annals of the Entomological Society of America. 99(6). NOV 2006. 1182-1190. Hager, Heather A., 2004. Differential effects of Typha litter and plants on invasive Lythrum salicaria seedling survival and growth. Biological Invasions. 6(4). 2004. 433-444. Houghton-Thompson, Jaimie; Prince, Harold H.; Smith, James J.; Hancock, James F., 2005. 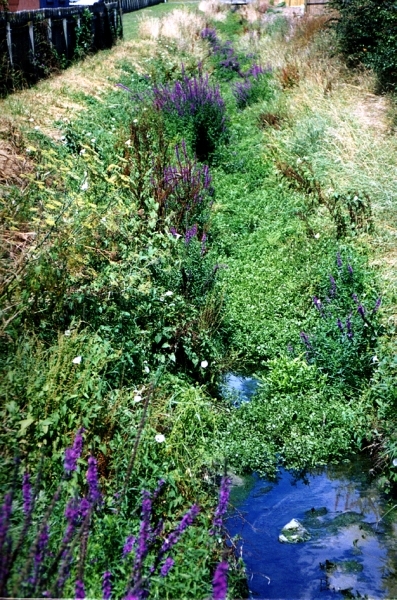 Evidence of hybridization between Lythrum salicaria (Purple Loosestrife) and L. alatum (winged loosestrife) in North America. Annals of Botany (London). 96(5). OCT 2005. 877-885. Invasive Plants of Canada Project, Factsheets. Summary: Detailed reports on identification, distribution, biology, life history, growth requirements, habitat, arrival and establishment in North America, biology, uses, possible invasion pathways, ecological impacts, agricultural impacts, control measures, and containment. Katovich, Elizabeth J. Stamm; Becker, Roger L.; Byron, Jane L., 2003. Winter survival of late emerging purple loosestrife (Lythrum salicaria) seedlings. Weed Science. 51(4). July-August 2003. 565-568. Ketterer, Eileen; Abrahamson, Warren G., 2006. Purple loosestrife on the Susquehanna River s west branch: Distribution and environmental correlates. Northeastern Naturalist. 13(2). 2006. 213-234. Kirsch, Eileen M.; Gray, Brian R.; Fox, Timothy J.; Thogmartin, Wayne E., 2007. Breeding bird territory placement in riparian wet meadows in relation to invasive reed canary grass, Phalaris arundinacea. Wetlands. 27(3). SEP 2007. 644-655. Kubatova, Barbora; Travnicek, Pavel; Bastlova, Dasa; Curn, Vladislav; Jarolimova, Vlasta; Suda, Jan., 2008. DNA ploidy-level variation in native and invasive populations of Lythrum salicaria at a large geographical scale . Journal of Biogeography. 35(1). JAN 2008. 167-176. Maddox, J. Dylan; Wiedenmann, Robert N., 2005. Nesting of birds in wetlands containing purple loosestrife (Lythrum salicaria) and cattail (Typha spp.). Natural Areas Journal. 25(4). OCT 2005. 369-373. Maerz, J. C.; Brown, C. J.; Chapin, C. T.; Blossey, B., 2005. Can secondary compounds of an invasive plant affect larval amphibians? Functional Ecology. 19(6). DEC 2005. 970-975. Mahaney, Wendy M.; Smemo, Kurt A.; Yavitt, Joseph B., 2006. Impacts of Lythrum salicaria invasion on plant community and soil properties in two wetlands in central New York, USA. Canadian Journal of Botany. 84(3). MAR 2006. 477-484. Moloney, Kirk A.; Knaus, Florian; Dietz, Hansjoerg, 2009. Evidence for a shift in life-history strategy during the secondary phase of a plant invasion Biological Invasions. 11(3). MAR 2009. 625-634. Montague, J. L.; Barrett, S. C. H.; Eckert, C. G., 2008. 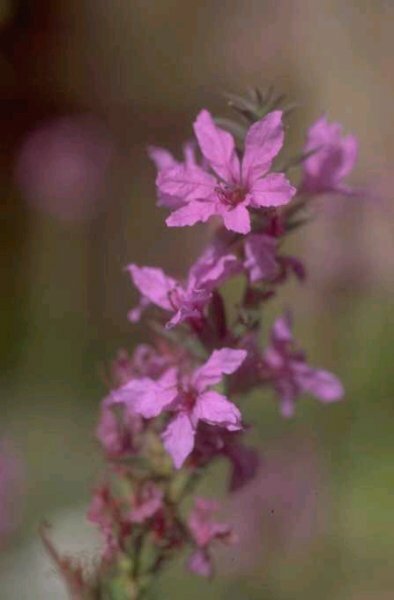 Re-establishment of clinal variation in flowering time among introduced populations of purple loosestrife (Lythrum salicaria, Lythraceae) Journal of Evolutionary Biology. 21(1). JAN 2008. 234-245. Schooler, Shon S.; McEvoy, Peter B.; Coombs, Eric M., 2006. Negative per capita effects of purple loosestrife and reed canary grass on plant diversity of wetland communities. Diversity & Distributions. 12(4). JUL 2006. 351-363. Swearingen, Jil M., 2008. PCA Alien Plant Working Group Purple Loosestrife U.S. National Park Service, Washington, DC. Summary: Report on distribution in the United States, native distribution, description, ecological threat, habitat, uses, biology, and current management approaches. Tanner, Curtis D.; Cordell, Jeffery R.; Rubey, Jane; Tear, Lucinda M., 2002. Restoration of freshwater intertidal habitat functions at Spencer Island, Everett, Washington. Restoration Ecology. 10(3). September, 2002. 564-576. Trebitz, Anett S.; Taylor, Debra L., 2007. Exotic and invasive aquatic plants in great lakes coastal wetlands: Distribution and relation to watershed land use and plant richness and cover. Journal of Great Lakes Research. 33(4). DEC 2007. 705-721. Summary: Report on description, similar species, distribution, habitat, ecological threats, and detailed control measures. Young, James A.; Clements, Charlie D., 2001. Purple loosestrife (Lythrum salicaria) seed germination. Weed Technology. 15(2). April-June, 2001. 337-342. Manitoba Purple Loosestife Project. Canadian contact - control of purple loosestrife.